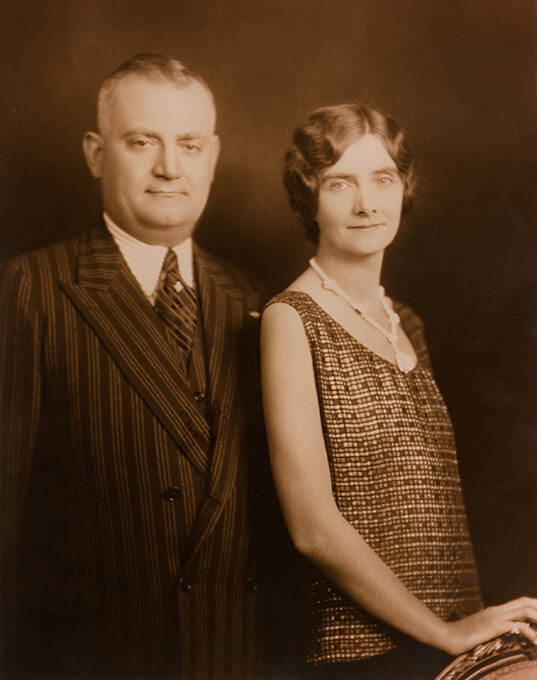 Sepia-toned studio portrait of James and Annie Franceschini. Date unknown. James is wearing a pinstripe suit with a matching pin stripe tie, vest, and collared shirt. A pocket square is visible in his suit breast pocket. Annie is wearing a sleeveless patterned top with dark coloured bottoms. She has a large long necklace and a ring on her right pinky finger. Her hand is resting on a chair.